Home Unlabelled Heavy overnight rain pounds Thika town marking the end of the dry spell. Heavy overnight rain pounds Thika town marking the end of the dry spell. 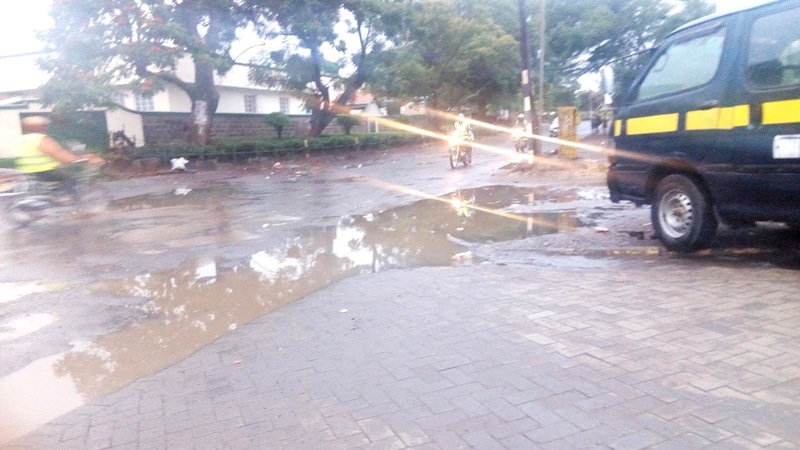 Hours of heavy rainfall that hit Thika town and its environs on Wednesday night into Thursday might have characterized the end of the dry season that has been causing so much discomfort to the residents. The first signs of the rain were witnessed Wednesday evening when the town was treated to some light drizzles that immediately fizzled out after a few minutes. However, at around midnight, the residents welcomed heavy downpour that went through the night, only stopping some minutes past 5am on Thursday. This break in the weather made true the weather forecasters' predictions that there would be widespread rains across several regions of the country starting from the middle of this week. The rain drops are a sign of relief to the residents especially at a time like this when their only sources of drinking water, Rivers Chania and Thika, have completely dried up. The rain will also soak the dust which has been choking the residents for the last few months. Just yesterday, bodaboda riders operating between the BAT junction in Makongeni and Kiganjo estate demonstrated citing the dusty road that is under construction.